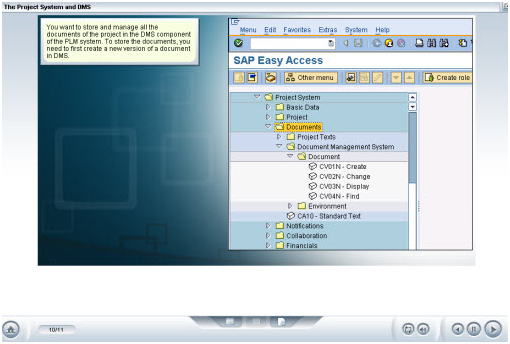 Geared towards individuals who plan to use SAP's Business Suite 7 applications to perform basic business functions within their organizations, our training tutorials for PLM will assist you in performing project management activities. Product Lifecycle Management provides a comprehensive solution for managing all product-related information required in support of processes including planning, innovation, design, quality management, and engineering. As an integrated solution to SAP's enterprise resource planning (ERP) system, all information stored and maintained using the PLM solution is available across the enterprise to all other modules where required. This course introduces the SAP PLM solution, describing the overall concept of the PLM lifecycle and describing some of the main activities involved in managing products across the product life cycle.